Tanzania Rural and Urban Roads Agency (TARURA) is an Executive Agency of the President’s Office, Regional Administration and Local Government, (PO-RALG), established under Section 3 (1) of the Executive Agencies ACT. (Cap. 245) by Order published in Government Notice No. 211 dated May 12, 2017 and was inaugurated on July 2017. Tanzania Rural and Urban Roads Agency (TARURA) is vested with the responsibility of managing the development, rehabilitation, maintenance, axle load control; environmental and road reserve management of rural and urban roads network for the social – economic development of Tanzania. On behalf of the Chief Executive Officer, Regional Coordinator intends to recruit self-motivated, qualified and competent Tanzanians to fill the following vacant posts on temporally contracts.  All interest applicants are invited to apply and submit their handwritten application letters to the under mentioned address not later than 24th April, 2018.Hand and Email delivery shall not be acceptable.  All applicants must attach certified copies of birth certificate, Form Four National Examination Certificates, a Valid Driving Licenses Class ‘C’ or ‘E’ (for Driver’s Application) and Professional certificates. Applicants are reminded to quote the correct reference number of the advert in their application letter. Only the short listed candidates will be contacted. 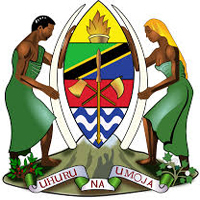 Successful applicants must be ready to work in any TARURA Council Offices in Mwanza Region. Applicants who have worked with public institutions but have unsatisfactory previous records indicating poor performance and found guilty with disciplinary offences shall not be considered and any misrepresentation such fact shall be subjected to legal measures. TARURA is an equal opportunity employer, but women are highly encouraged to apply. All application letters should be posted to the following address not otherwise.